We’re so honored to have the following RV industry experts and influencers share their wealth of knowledge with you! Howard & Linda quit their corporate jobs and sold their house at age 41. Though they were living what most people would call the “American Dream”, they felt there was more to life than what traditional society expected. They hit the road in 2005 and started a website called RV-Dreams.com. The website where they began compiling their research and sharing their journey has grown into a thriving community and includes a daily online journal, a forum, and more. Howard and Linda have presented seminars at RV shows, at RV rallies, and at RV educational conferences. And they also put on their own RV-Dreams educational rallies each year. In addition to running the RV-Dreams website, putting on rallies, and speaking at events, Howard and Linda have also worked a variety of jobs on the road to help support their full-timing lifestyle. Their diversity of experiences, their age, and their background have combined to create an interesting perspective on RV living. And, their refreshingly straightforward approach provides those investigating the lifestyle with tools to properly evaluate whether full-timing is right for them. In May of 2015, after more than a year of planning, the Moss family sold their home and packed up what they had left into an RV. Living with less has been an exciting journey that has opened their eyes to what the world can offer if you’re not hiding behind so much stuff. Nathan and Marissa hope to inspire others through their journey of focusing on what matters most in life...relationships. They have a over 100,000 subscribers on their popular YouTube channel and a comprehensive course designed to help others with RV purchasing process. The course, Buy The Right RV, covers everything from budgeting, to research, to purchasing an RV, and could help you save thousands! Kyle and Olivia are a young couple traveling the country full time in their vintage camper. They hit the road in September of 2015, with the goal to live a minimal lifestyle and connect with the world around them. They hope their experiences can inform and inspire others to pursue a life of passion and adventure. They are currently renovating an Airstream Argosy and recently wrote and recorded an album of songs inspired by their travels. The music was even recorded within the walls of their little vintage camper. Listen to the album here! Be sure to join the “Vibe Tribe” and follow Kyle and Olivia on YouTube and their website as they share the joys and obstacles of RV life! Jeff Shelton is the owner and CEO of Wholesale Warranties, a leading provider of RV extended warranties direct to consumer. Jeff is also a former full-time RVer and travel enthusiast who knows first-hand what it feels like to make the road your home. While living in his RV, Jeff experienced the highs and lows of full-time living, including the financial and emotional stresses of mechanical failures. This guided him as he created and grew Wholesale Warranties: not only would he offer reliable coverage, but also a full education on what exactly that protection does, and top-rated customer service for the life of each and every policy term. Wholesale Warranties is a one-stop shop for all things RV warranty protection, and uses their RV blog, social media communities, and hard-working team of warranty experts to provide all travelers with peace of mind for the road ahead. Chris and Cherie became perpetual nomads in 2006 while in their early 30’s. Working remotely in high tech fields, their personal Technomadia.com blog was getting so many question about how they kept online while RVing that in 2013 they wrote the first edition of The Mobile Internet Handbook to try to help their community keep connected (and bring sanity back to their inbox). But technology changes rapidly, and the book was quickly outdated. So in 2014 they launched the Mobile Internet Resource Center website along with the second edition of the book. Now the book is on its fifth edition, and the website has become a community-funded central resource center for RVers, cruisers and nomads seeking unbiased news, guides and product overviews about cellular, Wi-Fi and satellite solutions for staying connected. While the resource center has grown to become their full time professional focus, Cherie and Chris continue to share their personal travels on their blog, YouTube Channel, Instagram and Facebook page. They are also instructors for Escapees RV Online University, and the 'Tech Hosts' of the upcoming PBS TV Series 'The RVers'. Currently they split their time between their high-tech vintage bus conversion and a motor yacht cruising America's waterways - and after a dozen years of technomadic adventures they still have no end in sight! Bryanna and Craig along with their 4 kids, and 1 dog sold everything, bought an RV and have been traveling full-time around North America since May 2014. If they aren’t out climbing mountains, hiking to a waterfall or playing at the beach they are most likely at the local donut shop trying to find the best donuts in the US! They write about things to do with kids at the destinations they visit, full time family travel and working from the road at www.crazyfamilyadventure.com. They also have a Podcast where they talk about their life of full time family travel and a You Tube channel where you can see what their life is all about and the cool places they visit. Bryanna also started www.VirtualPowerhouse.com where her and her team do Pinterest, social media, blogging and email marketing for small businesses. You can find them on Facebook, Instagram, Twitter and Pinterest. Kerensa Durr & Brandon Hatcher hit the road in January of 2014 and haven’t looked back. After years of moving for jobs, they decided to go where they wanted and take the jobs with them. They spent their time finding regional foods, cool places to dive, and meeting other RVers. After years of enjoying their freedom exploring the US in their RV, they wanted to help others learn the ropes of full-timing at RVtoFreedom.com and with their course Roadmap to Full-Time RVing. You can find them every day in their popular Facebook group RVtoFreedomGroup.com. 'Vie' means 'life' in French. This is Our Vie! The story started in 2014 when Cees proposed to Madison in Yosemite National park. At that moment, they promised to be each other’s permanent adventure buddies. The team has grown since then with the addition of their adventure kitty, Vladmir and their now 1 year old son Theo, but the purpose has stayed the same - work hard, play hard, and live life to the fullest. Cees and Madison took to the road full time in 2016 to celebrate the 100 year anniversary of the National Parks - they wanted to see all 59. They even managed to get this trip fully sponsored and now teach other’s how to get sponsorships for travel with Road School, their ultimate guide for landing sponsorships. They thought they would complete the trip, and then return to "normal life", but ended up loving road life way too much to ever look back! Dustin and Jill have been traveling full-time in an RV for over 5 years with our 4 kids. Although we have lived in houses, apartments, off-grid cabins, and Sailboats, none have compared to the experience of traveling with our children in an RV. When we launched there were very few other families doing the same thing, so we helped build Fulltime Families into a wonderful community of traveling families. Meeting other traveling families is the key to an enjoyable family experience. Once you find "your tribe", and build long-lasting relationships with friends, you will wonder why you didn't do this sooner. Fulltime Families is a community of traveling families, providing education, discounts, and events for other traveling families with kids. Attending a Fulltime Families Rally is a "must do event!" Learn more at FulltimeFamilies.com and start your family down the road to a fun experience. 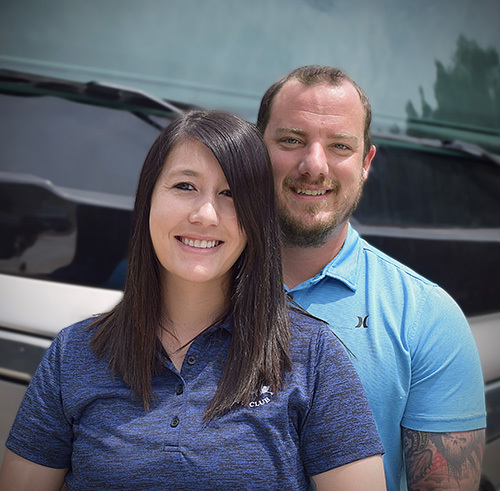 Eric and Tami Johnson are full-time RVers and the owners of TechnoRV.com. In 2014, after 8 months of planning, they sold their house, quit their jobs, and moved full-time into their first RV. They have 3 grown children and travel with their 13-year old English Bulldog named Lincoln. As the owners of TechnoRV, they travel the country to RV shows and rallies promoting their business while running the online portion of the business from the road. They have an office and warehouse in Mobile, Alabama where their family lives. They are instructors for Escapees RV Boot Camp and RV Online University and enjoy presenting seminars at RV shows as they travel. They love the education portion of their business and strive to provide the best shopping experience they can to their RVing customers. They have traveled to 48 states in the last 4 years and have a goal of visiting all 60 U.S. National Parks. They love Jeeping, Alabama football, and spending time on the water. Nichole and Dusan are partners in business and life. They became nomads by leaving behind a 3,000 square foot home and 8,000 square foot office in South Florida, to now thrive in a 41 foot class A with no tow car, and 2 dogs. Going full-time was not a decision they made, it just happened naturally and, Nichole especially, can’t believe how easy the transition was. They did this to launch THIA to the RV Industry in June of this year. THIA is a fire suppression device that they feel is changing the world by setting higher standards for fire safety. These systems are mandated around the world and new to the United States. Sean Nichols is the Chief Operating Officer and a founding partner of Dragonfly Energy. In 2013 Sean and CEO, Denis Phares started Dragonfly Energy from their garages and haven’t looked back since. Sean has over 10 years of experience in the RV industry with a skill set that includes sales, operations, product development, marketing and so much more. Sean has a clear vision of the culture he wants Dragonfly Energy to embody, in which he has accomplished by creating an incredible customer service experience. His passionate demeanor has allowed for others to see why he specializes in Green Energy Products, specifically li-ion batteries, power inverters, solar panels and related components for off-grid & mobile power systems. Many people know Dragonfly Energy’s consumer brand Battle Born Batteries due to the stories they’ve shared and people they’ve met. The company continues to work hard to accomplish all boondocking dreams for RVers, while getting rid of their “battery anxiety”. Through their Facebook and Instagram, you can see how the company allows others to get out there and stay out there! Bryan & Luann Street got the RV bug in 2013. After weekend camping and annual vacations in their RV, they made a plan to start their full-time RV life many years before retirement. They sold their house most of their stuff in 2016. Determined to find income they could do on the road, Luann was able to create a remote position from her current job that helped them create the RV life they love! They now travel the country, working remotely and sharing educational and inspirational content on their blog, Where the Streets Wander. Bryan & Luann want people to know that the full-time RV lifestyle can be accomplished with a little work, faith and a can-do attitude! They are creators of THE COMPLETE RV TRAVEL PLANNER – the only travel planner created just for RVers. Phil and Stacy from You, Me & the RV are empty nesters who decided to make their someday TODAY! They met while serving overseas in the world’s greatest Navy. Phil made the Navy a career and retired after 27 incredible years. After 5 years, Stacy changed her career to nursing and is a Certified Nurse Practitioner. Although, their careers have been wonderful, they paid the price of very long hours and even longer absences. They felt it was time to change their focus from their careers to living a life they’ve always dreamed about. So, they sold their house and everything in it and hit the road on May 13, 2018. Join You, Me & the RV as they travel this beautiful country looking for new adventures around every corner! Be sure to subscribe to their YouTube channel. Ashley Mann owns RVinspiration.com, a website where people can find ideas for organizing, decorating, and renovating RVs, as well as tips for full time RV living. 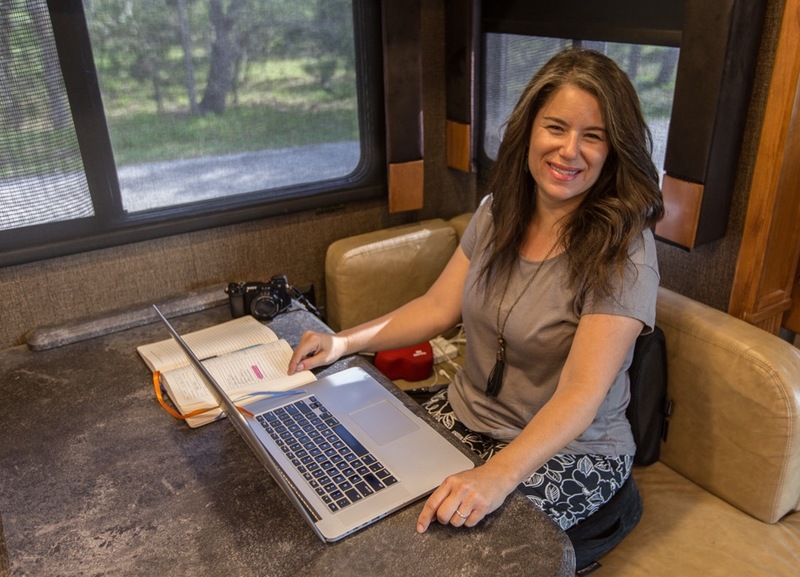 She has written an ebook, Create Space from Thin Air: Ideas for Adding Storage to Your RV, and an online course to guide people through the process of downsizing to live in a smaller space. She and her husband Josiah have lived in a fifth wheel RV since 2016. Cheryl and her husband Stan have been married 35 years, have 4 kids, and 3 granddaughters. Their second son Daniel was a happy and healthy toddler until at 15 months old he had spinal meningitis; leaving him totally dependent on someone else for his survival. As a mom Cheryl was determined to keep her family as normal as possible and make sure their kids had fun growing up. They camped a lot; but as the kids got more involved in sports they stopped camping and their focus changed. Now that all but Daniel are married and embarking on their own family journeys, Stan, Daniel, and Cheryl are excited about camping once again. Out of a need for their own family Cheryl has determined to find ways to make life easier on the road for special needs families: thus, RV Camping with Special Needs was born. The site provides information on "hacks" and various other ideas to make it easier while camping with someone who has special needs. Interviews with other special needs families traveling full-time or part-time. A new service is being developed to connect special needs families with caregivers while on the road. Founder of Story Chasing, perpetual solo traveler, writer, and entrepreneur. Amber gave up the 9-5 to fulfill a dream of traveling full-time and to document the stories she accumulates along her journey as she meets people on the road while traveling the country. She’s on a quest to visit all 300 of National Geographic Guide to Scenic Highways and Byways in the United States and document her travels via videography on YouTube and through StoryChasing.com. Her background of 30 years in corporate finance and accounting has allowed her to share her knowledge with wannabe travelers on how to finance a full-time travel lifestyle and start an online business on the road. Travis & Melanie, President and Vice President of Escapees, stepped into the Escapees organization in 2010 as the third generation of the family business. They traveled around the country in a 27’ Airstream with their son, Gabriel, and immediately fell in love with RV life. They learned quickly that they had to find a balance between working on the road and traveling with their son, but the adventure (and occasional chaos) is something they didn’t want to live without. 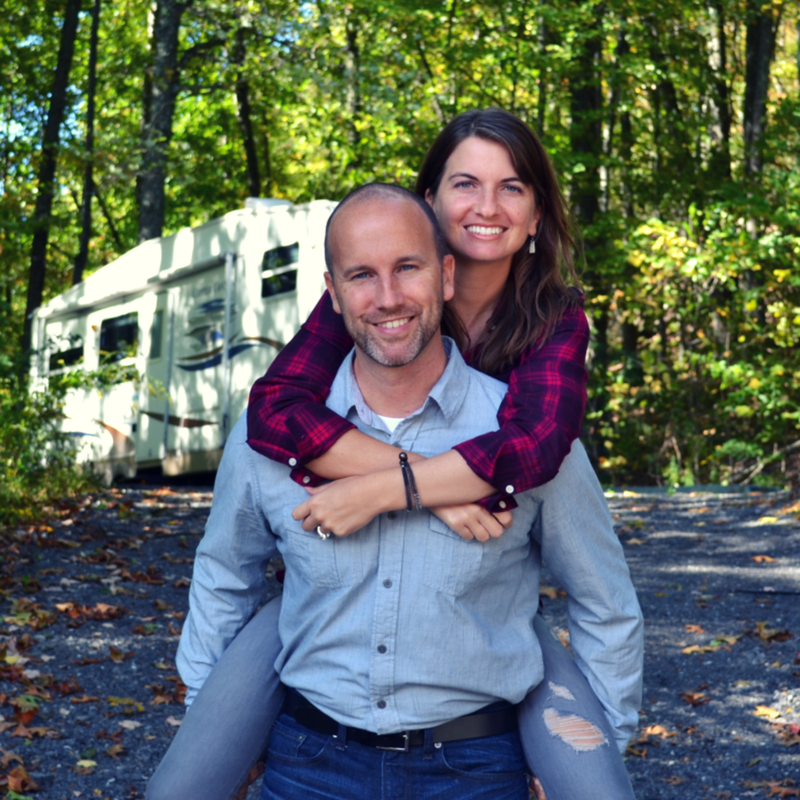 While traveling, Travis and Melanie met and networked with several extraordinary RVers who work from the road, travel with their families, and live a nomadic lifestyle. They discovered that Escapees was not meeting the needs of this segment of RVers, and that they were perceived as a club for retired full-timers. It dawned on them that they were no longer living up to their mission statement, which specifically states that they are “A support network for ALL RVers.” And the concept of Xscapers was born. Sean and Julie are a couple of perpetual travelers who are currently exploring the country in their Fifth Wheel RV. After serving 20 years in the US Air Force each, they knew we wanted to keep moving and experience even more of this beautiful nation. Now they help others learn about their preferred method of travel at RV shows and rallies where they cover a wide range of topics from budgeting to campground reviews. They also run an educational and informational website, Chickery’s Travels and have written two books: Full-Time RV Finance and A Complete Novice’s Guide to RV Water System’s Preventive Maintenance. Julie also teaches aspiring bloggers how to master the tools they need to make their website thrive at Blogging Tech Made Easy. Using live video calls and screen sharing, she walks clients through each step of the process from setting up their WordPress site and a an email subscription service to marketing on Pinterest. Dan and Lindsay McKenzie have been traveling the world together for 10 years. They founded Follow Your Detour after facing life altering news that inspired them to embrace and take a detour in life. Their detour led them to full-time RVing in April of 2016 and they’ve been traveling the U.S. and creating their own path ever since. They provide tips and resources for other couples interested in finding their own version of “The American Dream” and creating a not-so-cookie-cutter life. Their budgeting program Finance Your Detour teaches the budgeting process and provides the budgeting tool they’ve used to eliminate their debt, save money, and build the life of their dreams. Dan and Lindsay are also currently building a membership community called Nomad Collab to help other couples design and sustain a location independent lifestyle. Join their mailing list for updates on when the community will launch and how you can join. Author of Tales From the Black Tank, Liz Wilcox is an Army wife turned RV entrepreneur. When she’s not out exploring the US with her family, you can find her telling jokes and swapping stories. She is a firm believer in the power of the campfire and refuses to settle for suburban survival. At the end of 2017, she gave up personal space in return for personal freedom, hitting the road in a 2007 Jayco Greyhawk. As a full-time RVer, she has a passion for creating community among campers of all kinds through humor and storytelling. You can learn more and become part of her movement at The Virtual Campground. Camille's grandparents taught her to "go to school, get a job, and buy a house" which is exactly what she did until she walked away from a twenty year career in corporate America. In the past two years, she and her husband, Bryce, have been full-time RV nomads, traveled 24,000 miles, and visited 30 states—all while learning how to create income streams, re-invent themselves, and stay married in 240 square feet. They launched their travel blog, More Than A Wheelin' which opened doors to partnerships and opportunities. Camille also leveraged her background in career development and counseling to create Remote Work School to teach nomad hopefuls how to work remotely, and Blogging Camp (in partnership with 3 other RV nomads), a coaching program for rapid blog success. In addition to earning income through their courses and coaching, they've experimented with options trading, freelance writing, contract and consulting work, and recently, Camille partnered with a staffing agency to help place nomads into remote jobs. 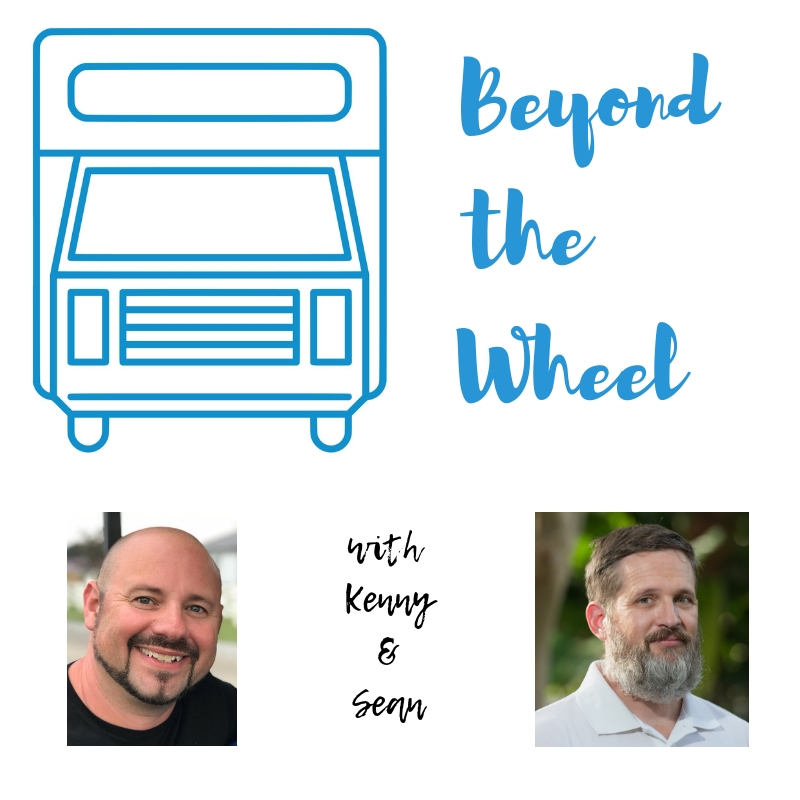 Hosted by Kenny & Sean, Beyond the Wheel is a podcast featuring the people & ideas that drive the RV industry forward. 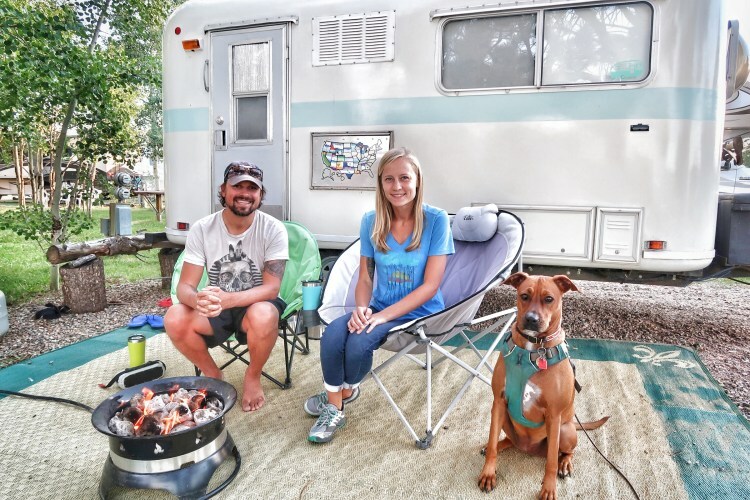 Kenny Phillips of Moving Forward Adventures has been living in his Class A Motorhome for over a year now with his wife, Sabrina and their small dog, Belle. He is a content contributor for Winnebagolife, creating articles and videos about the RV lifestyle, maintenance, tips, tricks and destination overviews. Sean Chickery and his wife, Julie have been living full-time in their Fifth Wheel RV for four years. He is a Doctor of Health Science and consults on medical research from the road. Sean also writes articles and produces videos for Chickery’s Travels, an educational website and YouTube channel. Josh and Kali have been living the RV life since January of 2015. After a rough 2014 facing health issues and seeing Josh's dad face a double bi-pass surgery they decided it was time for a change. Every year they reevaluate their goals and January 2nd, 2015 they realized their goals were too big for the typical "American Dream." Josh brought up the idea of rving on a whim and Kali, to his surprise, said "I am down." Fifteen days later they bought a RV the next day bought a truck. At the end of January they were living in and renovating their first RV. Three and a half years later they have welcome their first child, Landyn, into their lives. This summer they bought a new fifth wheel. They are setting to out this winter to launch a book on how to get internet on the road and Kali is launching a clothing line for nursing moms. The RV lifestyle for them has allowed them to seen amazing sites and helped them reach their goals of putting family first. Summer 2019 they are traveling back up to Alaska. The Freedom Theory also has future plans for world travel! Dave and Tracey Brannam became empty-nesters and sold their home and most of their stuff and started full time RV’ing in 2014. Tracey owned her own photography studio for about 25 years and Dave worked as an engineer/engineering manager at Intel Corp. for 35 years. After leaving their former careers behind, they spent most of the first year exploring the US, hitting all four corners of the 48 states in their first year on the road. From the Olympic Peninsula to the Rocky Mountains to Maine, the Florida Keys, they were able to visit places that they had never seen before, with no time limits. After a year or so, they found Jojoba Hills RV SKP Resort in Riverside County California and fell in love with both the resort and the people. Jojoba Hills is an Escapee co-op, with the members volunteering to do most of the work in the resort, fostering a positive, cooperative environment and keeping costs low. After about 2.5 years of being what Dave referred to as “retired” and Tracey called “finding their next thing”, they met the founders of RV Water Filter Store down the street at Jojoba Hills. Rick and Lynn Dahl were selling their business to fully retire, and trained Dave and Tracey to take it over. Now Dave and Tracey could continue their dream of Full-time RVing while helping and teaching other RVers to be able make their own clean, safe, delicious water on the road. A win-win for everyone. Jessica is a Latina blogging, YouTubing, RVing, roadschooling mama of two who’s magnificent hubby agreed to a crazy and fun adventure. They’ve been on the road for 3 years now and run Exploring the Local Life together. Their blog and YouTube channel are all about RVing, but it’s not always rainbows and campfires. It’s real life every day as they navigate love, unschooling, and breaking free from the mold in our 26ft home on wheels. Jessica’s focus is to encourage families to hit the road. Whether your kids are school-aged or in diapers or somewhere in between, she’s proof that full-time RV living is possible and it is a beautiful way for your family to grow closer than ever before. She often encourages other’s to not let no-sayers get in the way of your heart's desire to adventure together. Sharee Collier is the full-time RV author of newly released Workamping book, Live Camp Work! Traveling the country with her husband and 4 kids for the past five years, working jobs along the way, as they explore locally and travel slow! Sharee is also the Director of Operations for Workamper News, a company that's been helping RVers find jobs in great places for over 30 years! Personal insights mix well with her professional network, to deliver information and inspiration to those looking to hit the road without the need for small businesses, remote careers or retirement funds. "Melissa, a (not-so) typical Chef cultivating a (very) extraordinary life while traveling the country full-time in an RV with her husband G.R. & grand-pup, Harper. Her desire is to help YOU will become a more aware, adventurous & confidant cook - even if (or when) the scenery changes & space you have in your RV may be small! Do you consider yourself an enthusiastic food lover or you like the food, & craft/wine beer scene ... oh & coffee shops too? If you feel that the journey to create a good meal is as important as the food itself then you are in the right place with Cultivated Journey. Fairly new to mobile life, they will be growing to meet readers needs in the coming months. 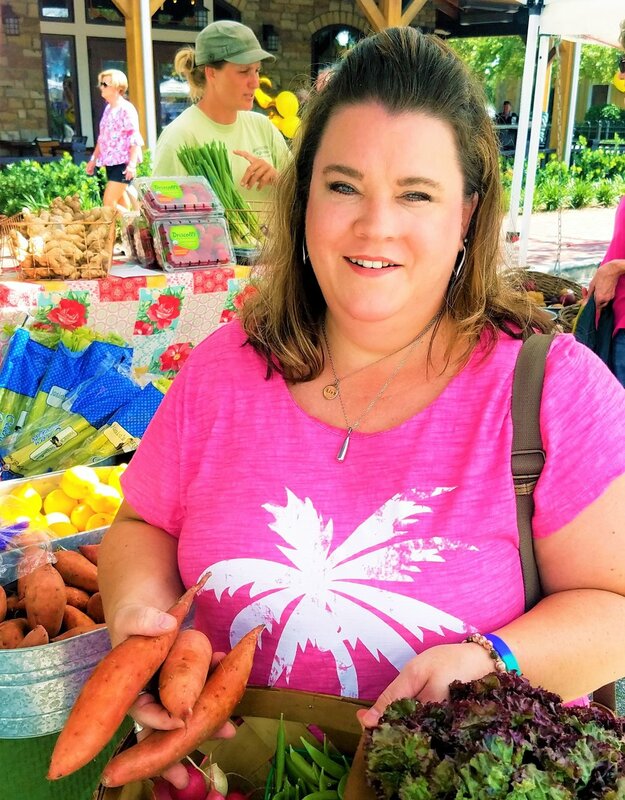 Melissa will offer recipes, restaurant reviews, 'local' interviews, online classes, tips on organizing (or what to stock in) your tiny space & is even planing for some food trail RV caravans in 2019, Food, fun & community as part of your RV life! At the core of her beliefs is that connecting with others is the most important thing we can do in this life & that sitting down with people to share a meal is still one of the most authentic, no-barrier ways to really do just that...connect. That doesn't have to change just because you travel & live in an RV. "Live, Laugh, Love ... & Eat Well Along the Way!" Dan and Lisa of Always On Liberty always had nomadic spirits. After 40 years of combined military service in the Coast Guard, they set out for the open road on their two Harley Davidson motorcycles to search for destinations unknown. A few years later, the sold their Kentucky home, bought a fifth wheel and took their motorcycles on the road full-time. April 1st, they will celebrate 5 years as full-time RVers. Soon after they traded their toyhauler in for a new fifth wheel, they yearned to make it feel more like home. So, Lisa put her creativity and design know-how to work by incorporating color and design into their Heartland Landmark. While Dan did most of the labor; prepping, priming, painting and installing new flooring, Lisa worked on textiles and details. Together, their collaborative efforts resulted in their Key West Cottage on wheels. They turned their interior’s drab browns into bright lime greens, marina blues with multitudes of tropical colors. Since, they’ve blogged how-to tutorials and product reviews to inspire others to do the same. They’ve also become quite proficient at boondocking. Dan installed their complete solar and energy management system. They now offer guidance and recommendations to other RVers on how to be successful at living off the grid. Chantelle is unapologetically passionate about freedom. Freedom for individuals to build the life they choose, on their terms. She is on a mission to inspire and guide women to authentically live their own version of freedom while building a personal and professional life that is grounded in connected wellness of the mind, body and spirit. June 2016 Luis and Sandra decided to buy an RV and travel the country with our two little ones who were 1 & 3 when they began their journey. Sandra had been working online for the previous 3 years and realized that she did not have to be tied down to a house to work after a last minute weekend trip with Luis’s parents in their Class C to a local KOA in Florida. Long story short getting an RV and traveling made sense to them because they could still travel with the kids and it wouldn’t be a huge hassle since they would have everything with them! Traveling to the Grand Canyon and California suddenly seemed possible even with toddlers! At the time they had no idea so many people were full-time RV traveling and they barely gave themselves time to research because they had to give a 4 weeks notice where they were renting so they literally were out of their sticks and bricks home within 4 weeks! They did multiple garage sales, donations and a whole lot of purging to move from over 2,000 sq ft to a little under 300 sq ft! During the transition, they realized how many of their friends and family were intrigued by their decision although they thought it was crazy it was still fascinating to them. They decided to start a blog and share their lives via Facebook live at the time and that is where 1st Class RV Adventures was born (it is a spin-off Luis's last name). They realized they felt EXTREMELY fulfilled inspiring others to live out whatever their definition of freedom was just by living out their own definition of freedom. Now their mission is to continue inspiring others to live life on their terms through their YouTube channel and mentoring services. You can find them on Facebook, Instagram, and Twitter. Heather is the owner of Tax Queen, a tax firm supporting entrepreneurs and digital nomads. With years of experience in bookkeeping and preparing tax returns as a federally-licensed enrolled agent, she was able to take her business mobile. She continues to support her clients through educational blog posts and has written a book, Taxes for RV Owners, to help RV owners navigate taxes. She travels full-time in a 5th wheel with her husband and two dogs. They took to the road in September 2016 and haven't looked back. In two years, they've visited 30 states, 2 provinces, hiked countless miles and explored so many new places all while enjoying over 65 local breweries and wineries along the way. She also is a photographer and enjoys capturing photos along the way. Take an engineer & a teacher/librarian. Throw in a health problem that made them realign their priorities. Add a huge amount of love they have for each other and America. Measure zero experience in an RV. Combine it all together, and what do you get? To Wander Freely…living abundantly and lightly. Chris and Jen spent their very first night in a RV when they set out as fulltime RVers in 2015. With no clue what to expect, they were hoping to make it 3 months. That 3 months turned in to 3+ years. RVing is the “vehicle” they used to reach their goals of self-employment, wellness, travel and the abundant life they wanted; which they share on their informative channel and website. Engineer + Teacher = tons of practical information. Through simple solutions like The Original Planner for RVers and Free Online Wellness Classes; To Wander Freely helps others to maximize the meaningful in life while minimizing the distractions. Chris and Jen keep it simple, informative and a lot of fun to help us all to wander freely. After 12 years in the Army, Ed Wilcox wanted more to life. Together with his wife Liz and their daughter, they hit the road. Now he owns Ed's RV Repair. With knowledge and experience only a full-time RVer would have, Ed's mobile tech service can deliver on the promise to keep you dream moving. Certified by the RVSA, he serves not only local campgrounds, but the online community through consult calls. 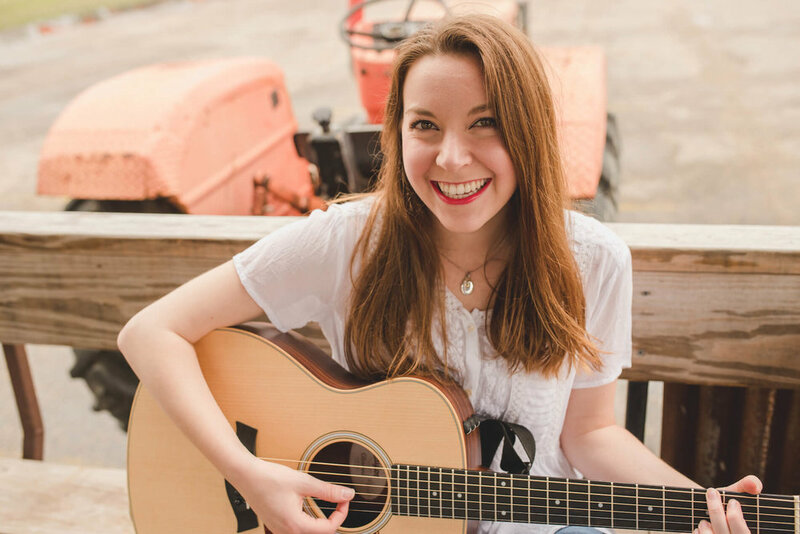 Kelsey Henry is a singer/songwriter, podcaster, and digital nomad from Texas. She is the host of The Positively Delighted Show podcast and blogs about positivity at PositivelyDelighted.com. From ages 11-17, she traveled full time in an RV with her parents, documenting her adventures of travel and roadschooling through music. She recently released her second album, “Music & Lyrics”, which features the songs “Travel Junkie” and “Free”, inspired by her roadschool upbringing. Check out the special edition Roadschooled Bundle of her album, which includes the ebookn“Growing Up Roadschooled: Lessons Learned from a Roadschooled Kid”!